My apologies for the delay in getting a fresh episode out to you. We'll be back early next week with a new show, as the boys welcome Danny Thomas to the program. Stay subscribed! Thanks for making these available to people. 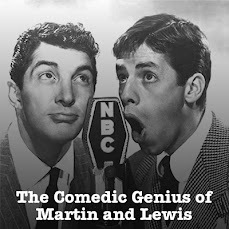 I'm only 28, but I've been a huge Martin & Lewis fan since I was about 14. I really enjoy listening to the old radio shows.